For Valrico area families who need lots of space and comfort in their SUV but also insist on rugged all-terrain prowess and towing capabilities, it’s tough to beat the Chevy Tahoe. And when you take advantage of the used Chevrolet Tahoe configurations available at Stingray Chevrolet in Plant City, you’re sure to get a great deal on your next body-on-frame SUV as well. Enjoy V8 power, 4×4 capabilities, and the latest in Chevy infotainment with a pre-owned Tahoe from our dealership, where you can purchase your car from home with Joydrive! Get a Great Deal on a Used Chevrolet Tahoe Near Brandon Today! 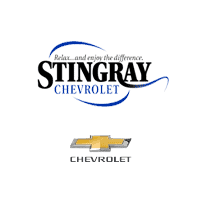 Get inside a pre-owned Chevy Tahoe SUV right now at Stingray Chevrolet, your Valrico area Chevy dealer where you’ll find lots of offers and incentive as well competitive offers on trade-in vehicles. We’re also your source for professional Chevy service and OEM parts in Plant City. So make the trip to see us today, or give us a call at (813) 359-5000. While you’re here, check out our selection of used Chevrolet Tahoe SUVs, as well as our Chevrolet Tahoe lease deals.